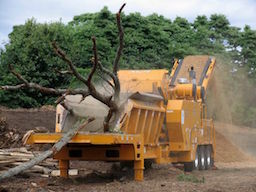 The most popular machine in The Beast lineup is also one of the most popular horizontal grinders in the world. With a 35-inch by 60-inch opening, the Model 3680XP is in a class all its own when it comes to production, fuel efficiency, durability, and producing a truly amazing range of end-products. 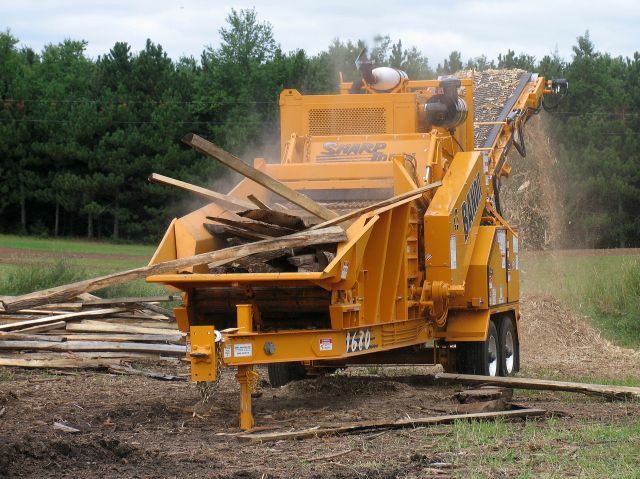 Municipalities, tree services, logging operations, recycling organizations, sawmills, national companies to one-man operations all use the Model 3680XP, turning waste wood, shingles, construction materials, storm damage debris and more into value-added products. With available engines ranging 540 to 875 horsepower and literally hundreds of configurations, there simply isn't a more versatile horizontal grinder available. 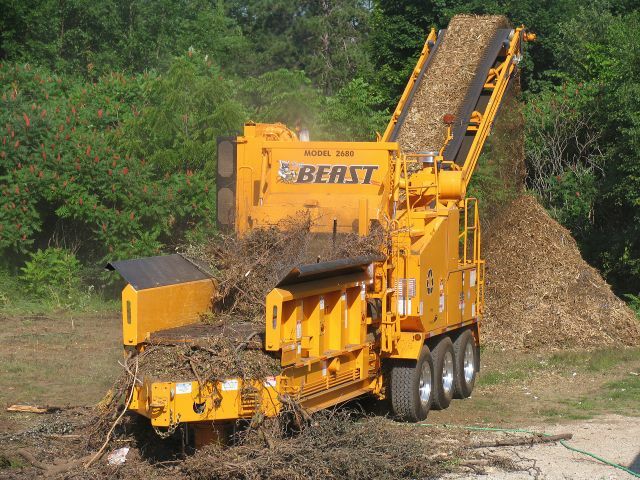 The Beast Model 1680XP "Son of a Beast" is designed as a cost-effective wood and waste recycling machine for smaller municipalities, tree service companies, sawmills and recycling yards to process and dispose of unwanted waste on-site. Featuring a 26-tooth version of the patented Beast cuttermill, the Model 1680XP can easily process logging slash, wood chips, bark, construction waste, tree waste, limbs and chips into a high-quality mulch that brings top-dollar. Officially rated as a 16-inch capacity machine, the Model 1680XP has a very wide mill opening of 18 inches by 52 inches, allowing it to process bulky material and chunk wood that other machines in this category struggle to handle. Diesel engine options from 275 to 325 horsepower give the Model 1680XP plenty of processing power. The Beast Model 2680XP offers exceptional versatility for tree services, municipalities, logging operations, sawmills, recycling yards and many other end users seeking a one-size-fits-all recycling solution. With a 24-inch by 60-inch mill opening, the Model 2680XP can easily handle waste wood, plastic, rubber, roofing shingles and more. Opt for the special "big mouth" feature and the Model 2680XP's mill opening increases to 35 inches, giving it exceptional capability for its size. Engine options up to 800 horsepower quickly convert logging slash, chunk wood, bark, construction waste, tree waste, limbs and chips into a high-quality mulch, all while delivering class-leading fuel economy and performance. 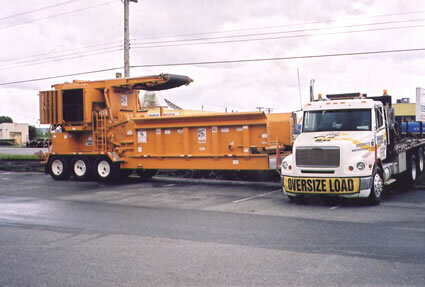 Companies seeking a high-production, no-compromise waste reduction machine turn to The Beast Model 4680XP. With engine options to 1,200 horsepower and a huge 45-inch by 60-inch mill opening, there isn't another horizontal grinder on the market that can match the 4680XP's level of production and performance. 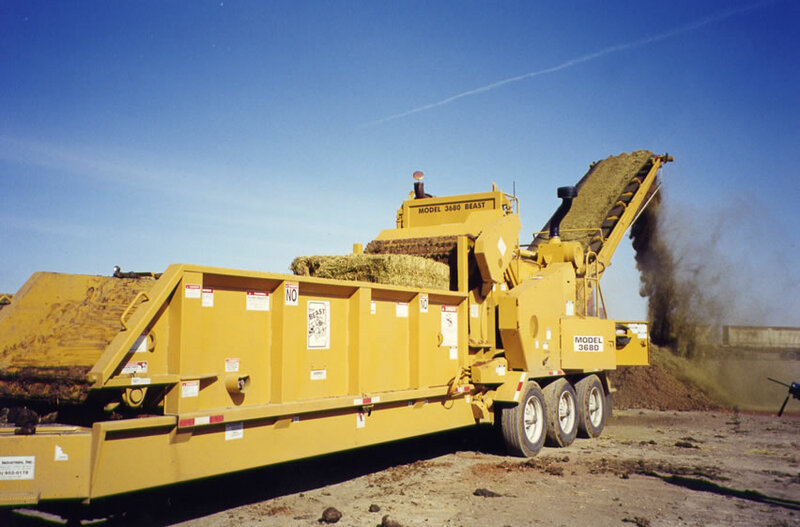 Whether turning large piles of waste wood into larger mulch piles, processing bulky chunk wood, cleaning up storm damage and debris after natural disasters, recycling shingles for hot-mix asphalt, or creating chips for fuel wood markets, the Model 4680XP is simply unstoppable. The Beast with outfeed conveyor folded for transport. There is more to grinders, including tub grinders, horizontal grinders and solid waste grinders. We recommend you talk to us!